I started by cutting both the card front and the flowers/vines from Ranger Mixed Media Heavystock Cardstock. 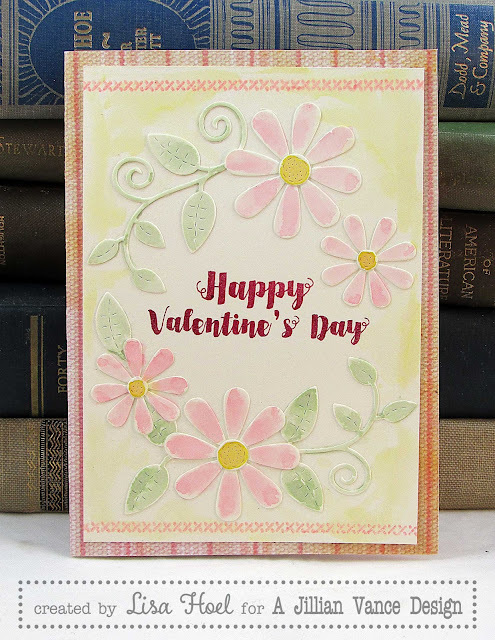 After stamping and embossing the sentiment in the center, I arranged the flowers and vines around it and glued them down. This left me with a tone on tone design (which looked pretty cool on its own). I also stamped and embossed the stitching on the top and bottom. 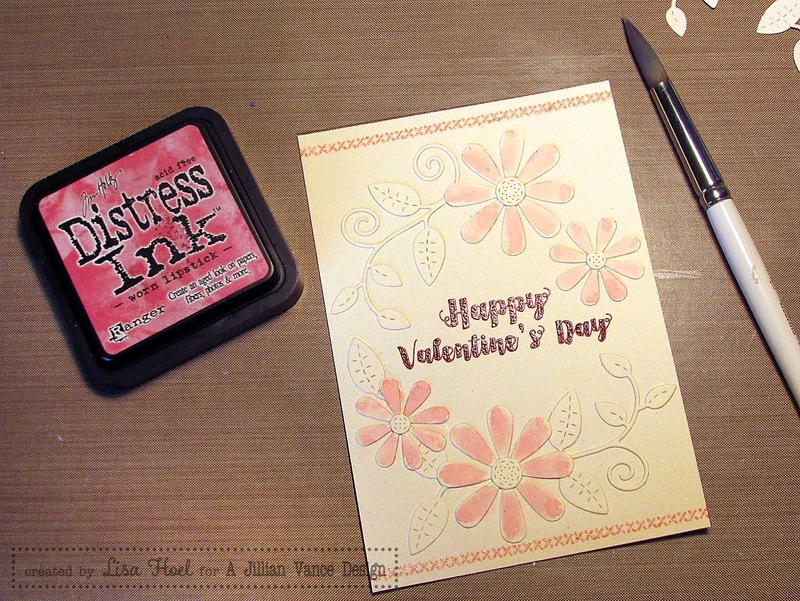 I did want to add some soft color to the card, so I used Distress Inks like watercolors. This is easy to do. Swipe an ink pad onto your craft sheet, wet your paintbrush (or use a waterbrush), pick up some color from your sheet and then loosely apply it to the flowers and vines. Thanks for stopping by today. I hope spring weather finds you soon. All our snow is melted but things aren't growing yet. Soon I hope!